It is all too easy to view the sale of a client’s business as the end of the road – but we all know that does not have to be the case. Business Partnership can certainly vouch for that as we have had 30 years experience in fine-tuning our approach to the sale and purchase of businesses. We are keen to build mutually beneficial relationships with accountants throughout the UK. To start that conversation, we would like to share with you some of the key features we have found to smooth the way to a successful business sale. With the advent of online trading and the volume and rate at which businesses are changing hands, you may think that the process would be simple and painless. However, the motivations and emotions involved are strong and the path from making the decision to go to market to actually selling a business is often not without complications. To address the many and varied issues involved, over the coming weeks we’ll be publishing a series of articles under the following headings: Professional, Hand holding, Support, Trust, Informed and Collaborate. 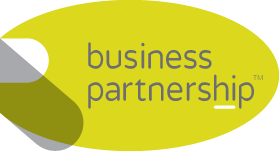 If you would like to contact a Business Partnership regional partner in your region, visit our Offices page. Previous Post Selling a business? Be aware of possible tax changes Next Post What drives the UK’s entrepreneurs?